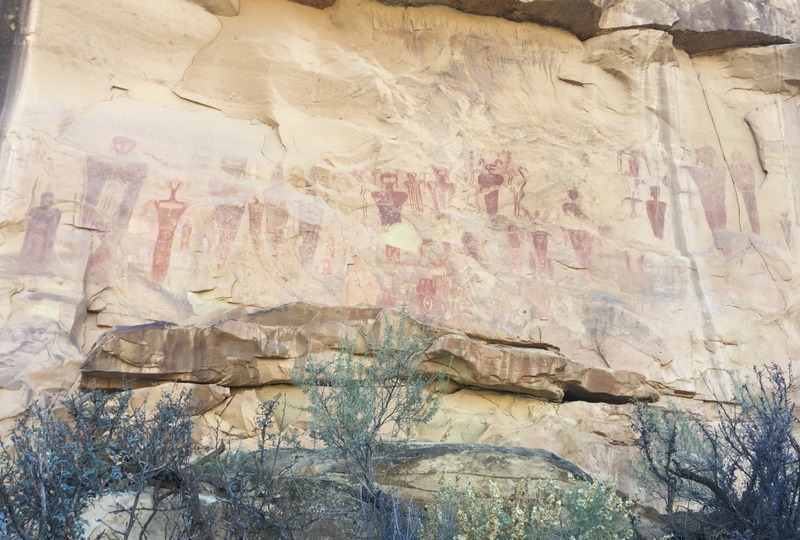 The Archaic time period ranged from 6,500 BC to 200 AD and Western Colorado was home to humans during this era. These people lived after the Paleo-Indians but much earlier than the Utes, who were in Colorado as early as 1500 AD. Much is not known about the Archaic cultures when compared to the Ute. Most of our knowledge of those people are based on artifacts, including weapons, stone tools, structures, and rock art. A number of different sites in Colorado and Utah indicate the presence of these groups. Rock art is classified into two categories, pictographs and petroglyphs. Pictographs are images or symbols painted onto surfaces. Petroglyphs were made either by pecking, carving, or other abrasive techniques. In Western Colorado both types of rock art are present.